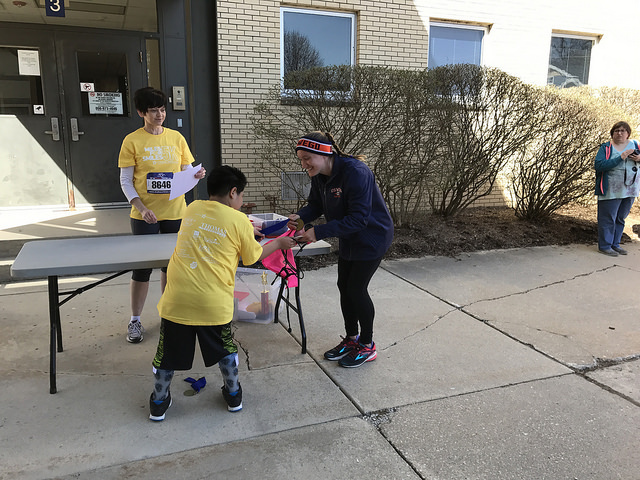 Alicia Rafferty, age 28 was the first female runner to cross the finish line at the 2018 Celebrate Differences 5K race with a time of 19:43. She loves racing. Interesting fact about Alicia, she actually coaches a young lady who has been the overall female winner of our race in years past. She must be a good coach as that young lady will be running for MIZZOU! Hmm..... wonder if Alicia will win this year?